First published in the EU, now available worldwide from Seed Center Books, this final, definitive edition of The Lazy Man’s Guide to Enlightenment, also known as the Young Person’s Guide Edition, features 3 new and previously unpublished chapters, "EXPAND!”, "FREE WILL”, and "WHO’S ON FIRST?”, as well as an addendum to the book, "A Young Person’s Guide to Enlightenment,” with final conclusions offered by author Thaddeus Golas, as he paves the way for Love and Pain. Size: 5″” X 7.6″” Inches – 91 pages. 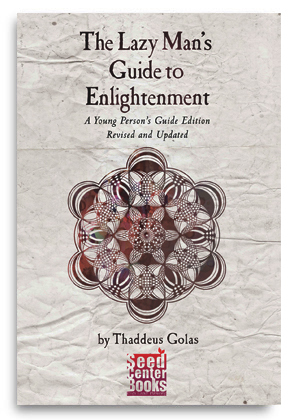 When late in life he revised and updated his text for a final Edition of the Guide, Thaddeus Golas chose to return the book to its original format, thin and unassuming, for a whole new generation of readers across the World. 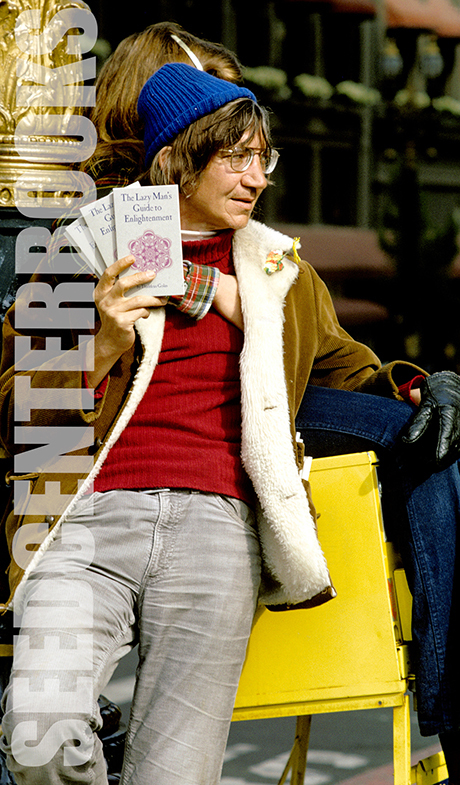 This is the most complete edition of The Lazy Man’s Guide to Enlightenment to date. Some of the subtle changes in the vocabulary were meant to sidestep references to LSD and avoid some outdated 60′s vernacular, but Thaddeus Golas had also wanted to bring minor fixes to some of his earlier assertions about energy — assertions which, over the years, he described as "slightly mistaken.” It was those very changes in his paradigm that brought about the writing of Love and Pain, his follow-up book. 3 New Chapters are written by Thaddeus Golas to help readers deepen their understanding of "expansion,” "contraction,” and the role of the intellect our spiritual progress. In the first chapter, I proposed that space PROPELS energy and mass: the greater the contraction and resistance of an entity, the more it is propelled. Now, in which direction will a mass entity be propelled? It will be propelled in the direction of other mass entities: the bigger the blob of matter, the larger the gathering of mass, the greater the propulsion towards it. What has all this to do with the spirit? What this means for us is that any of us, as a unique entity, may leave this earthly mass simply by changing function. Nothing is pulling us down. When we begin expanding and cease contracting, we automatically cease being propelled toward matter—we are free in permeative space. I am sure many of my readers have had the ex­perience of popping out into space, in satori or with psychedelics. 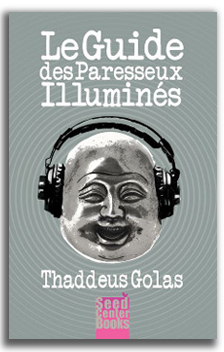 Also available from SEED CENTER BOOKS, author Thaddeus Golas reads The Lazy Man’s Guide to Enlightenment onto a special edition, double AUDIO CD. Now you can hear the book from the mouth of the master himself!